Maybe it is this cold winter. My dedication to the art of socks is growing still. Thanks to my handy book, `Knitted Socks, East Meets West` by Judy Sumner, I am still enthralled with her work translating Japanese Lace inspiration into footwear. This one is called Tatami. 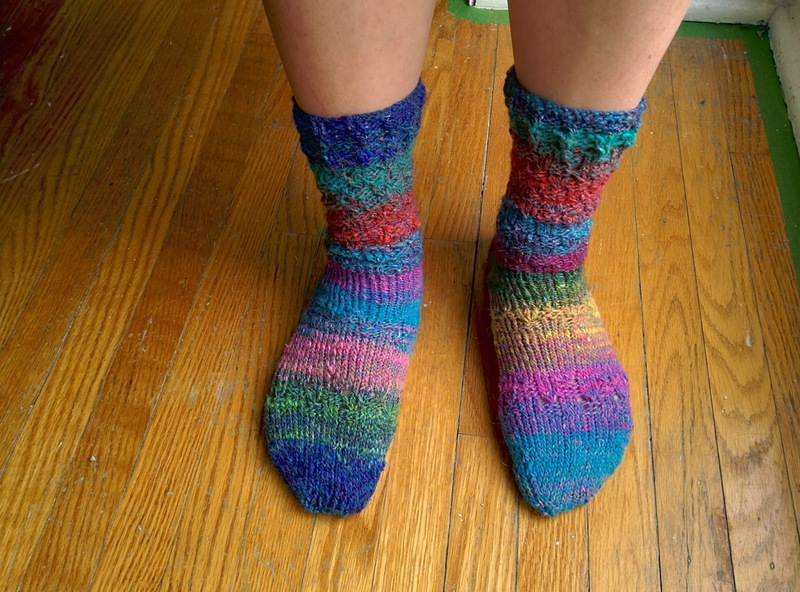 I used size US 2 needles with Noro Silk Garden Sock Yarn. Of Course I love colour so working in this yarn in this pattern was an absolute treat! 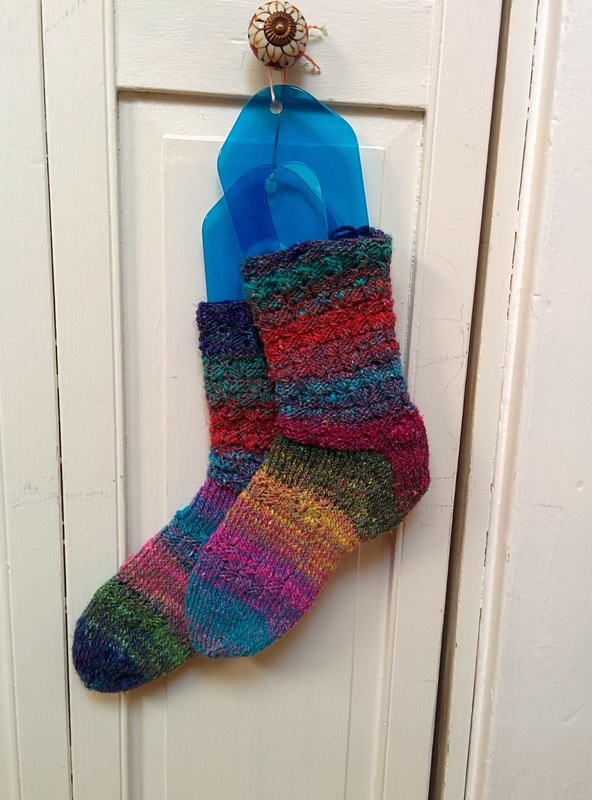 If you are on Ravelry I suggest you check her work out, you will be inspired! When googling I also discovered an interview with her.